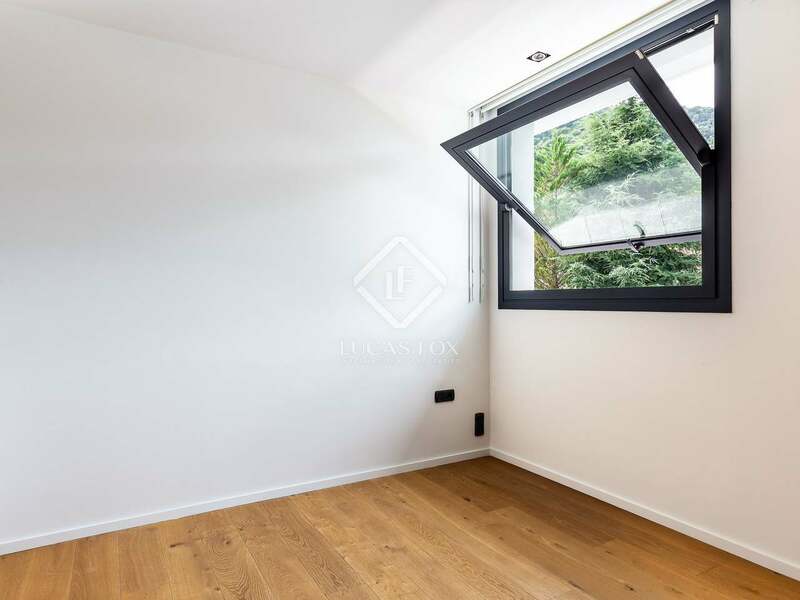 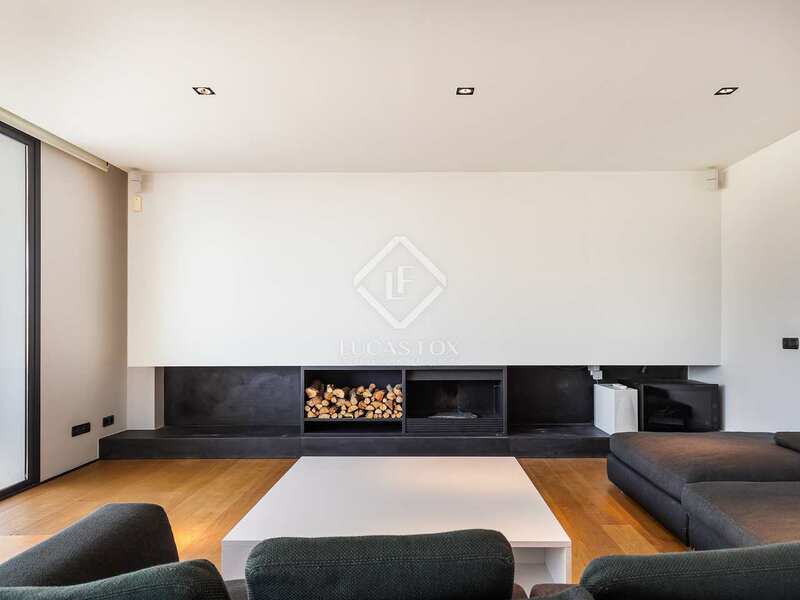 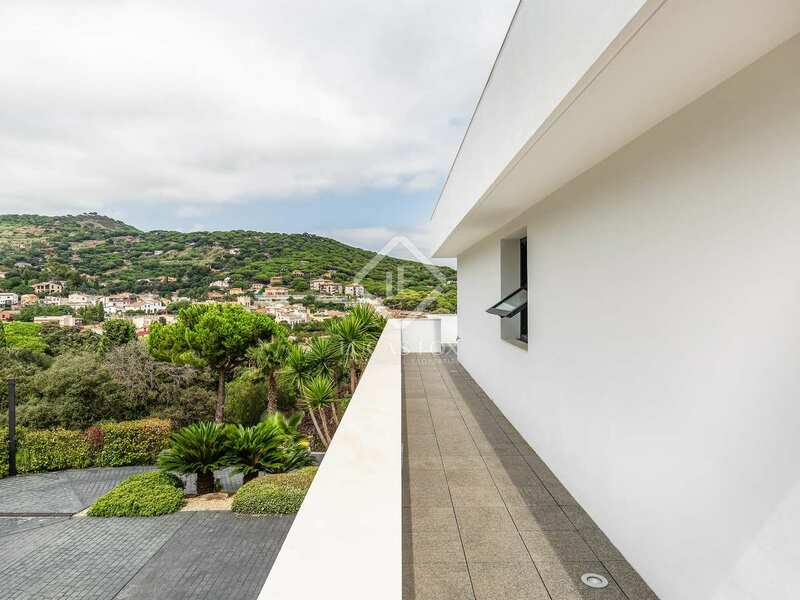 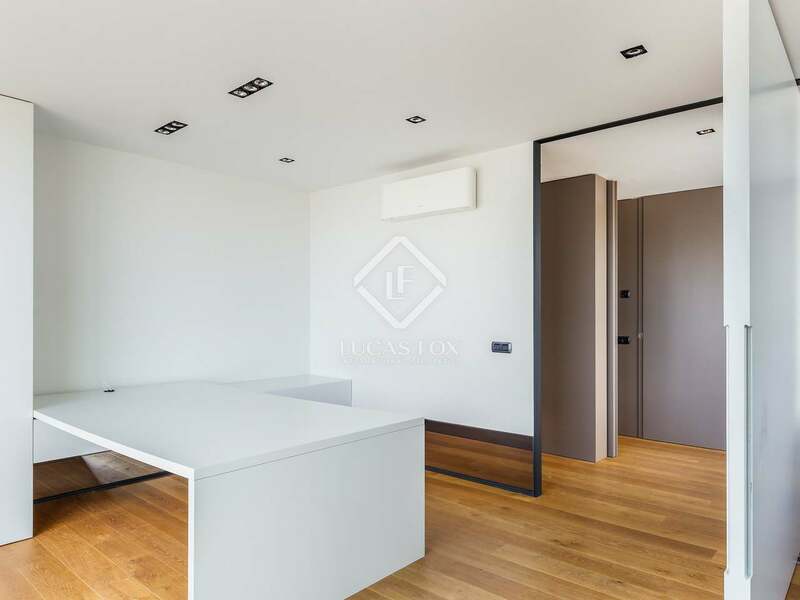 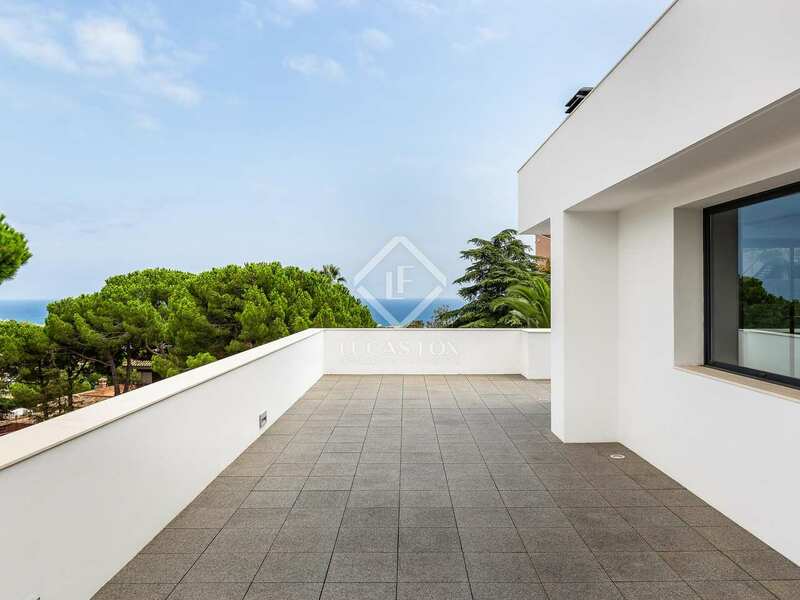 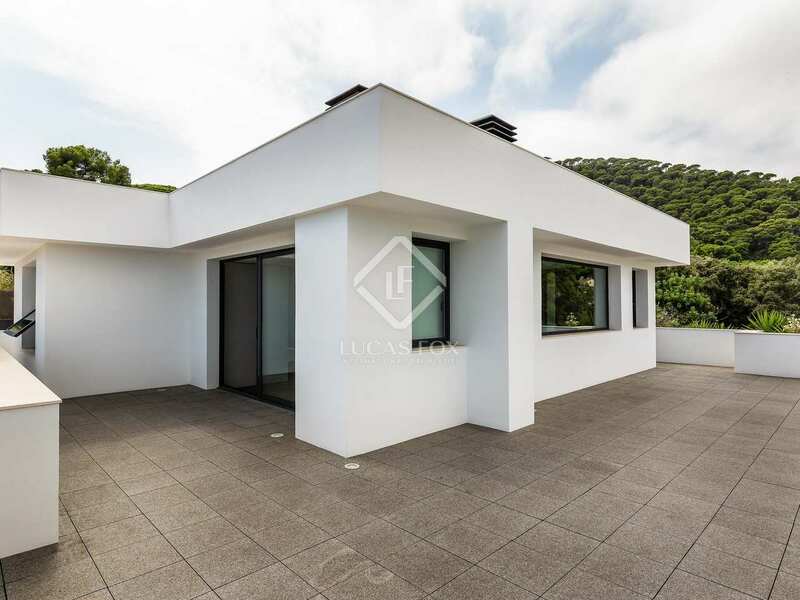 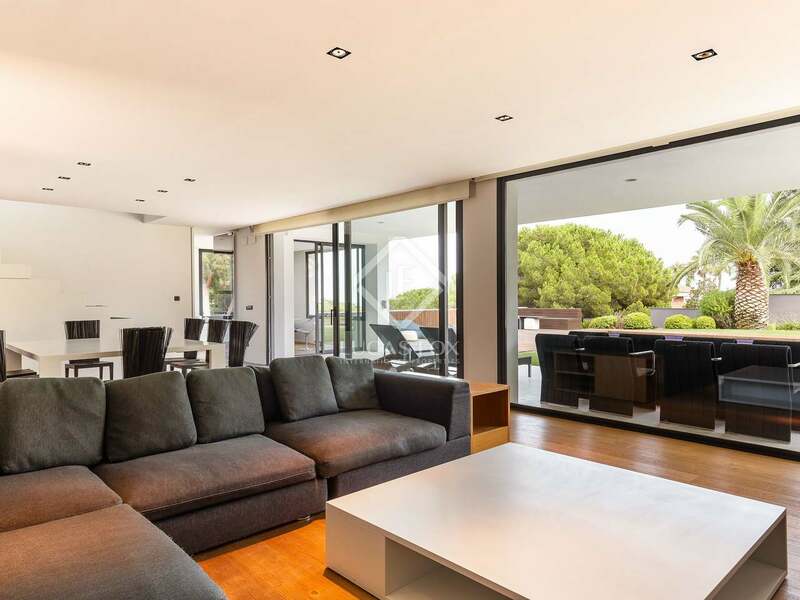 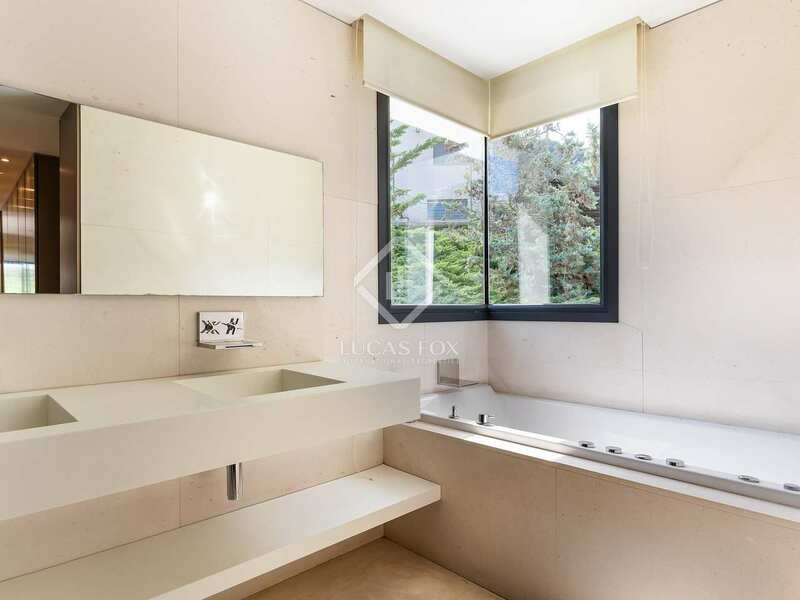 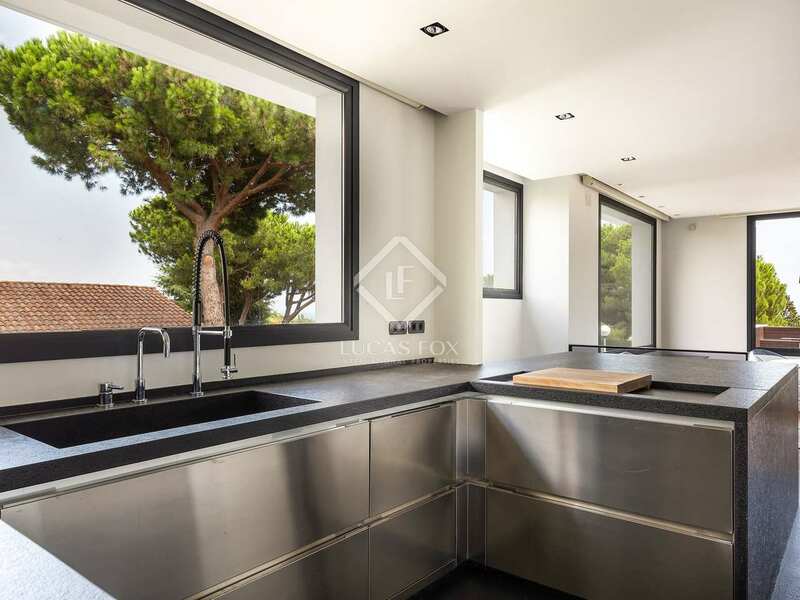 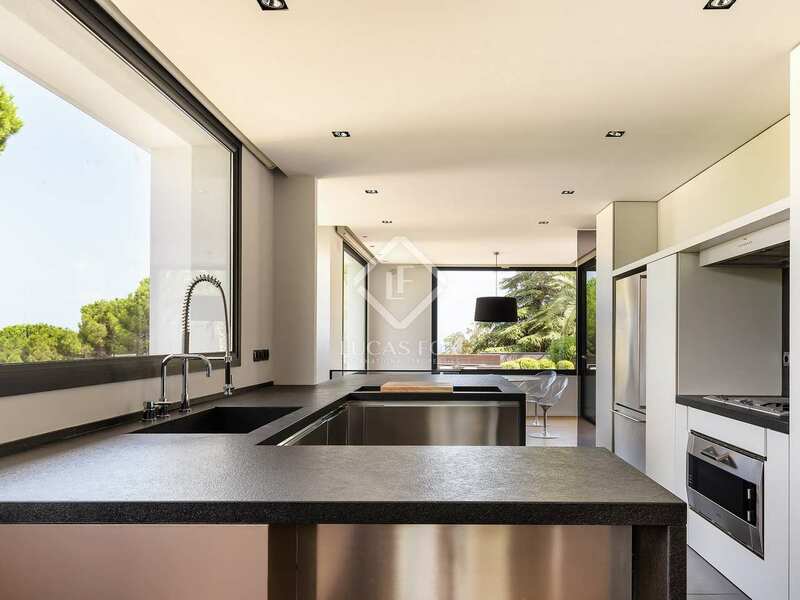 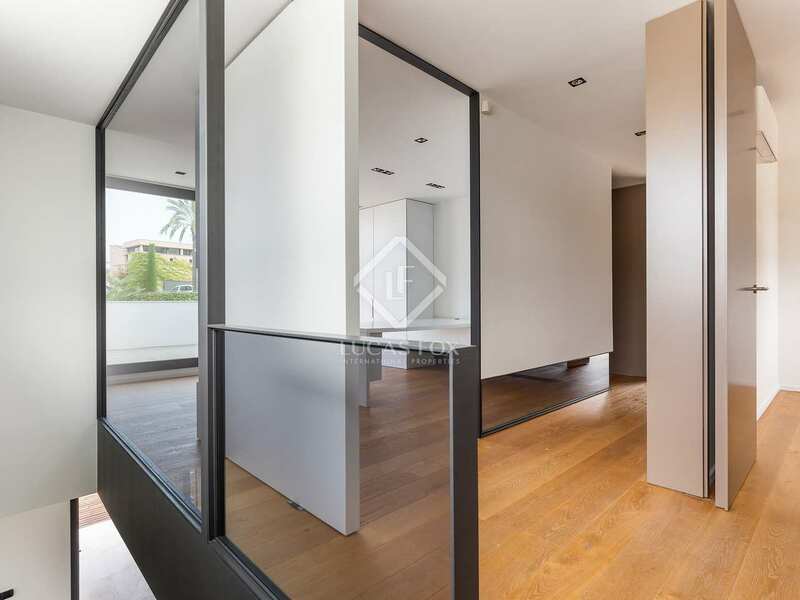 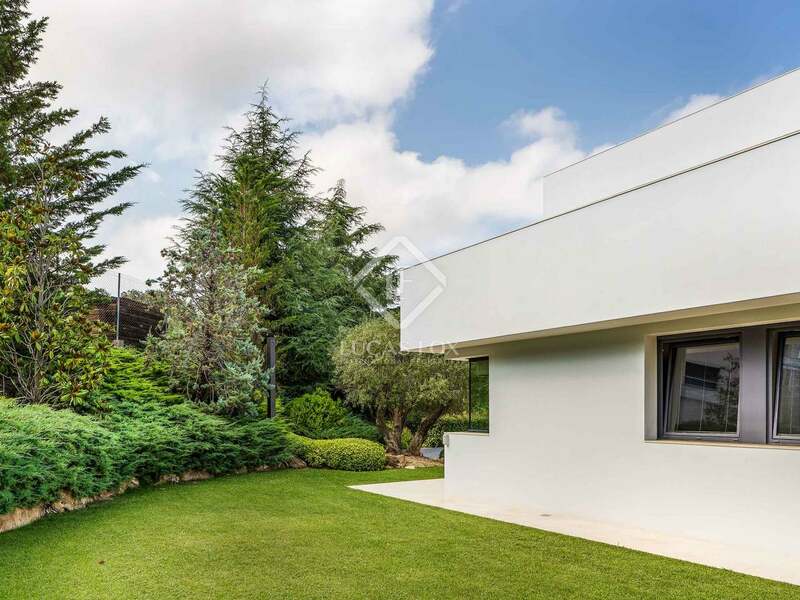 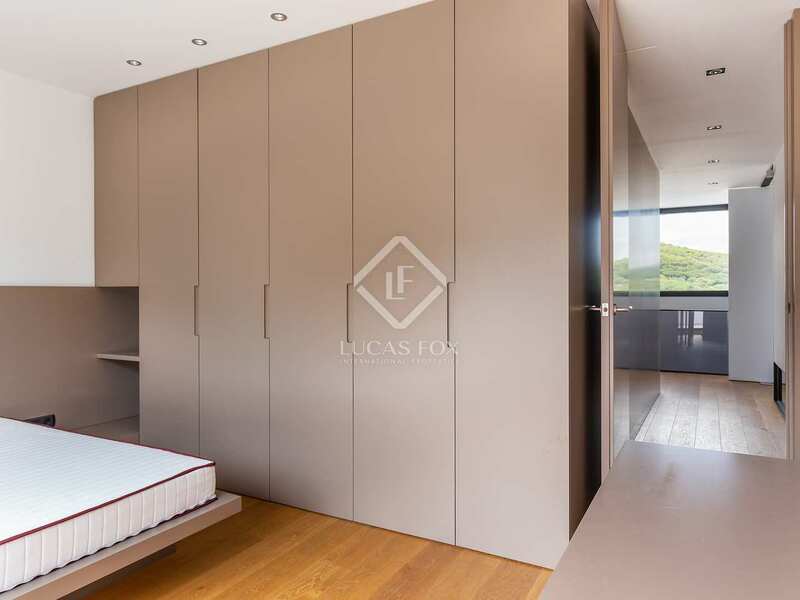 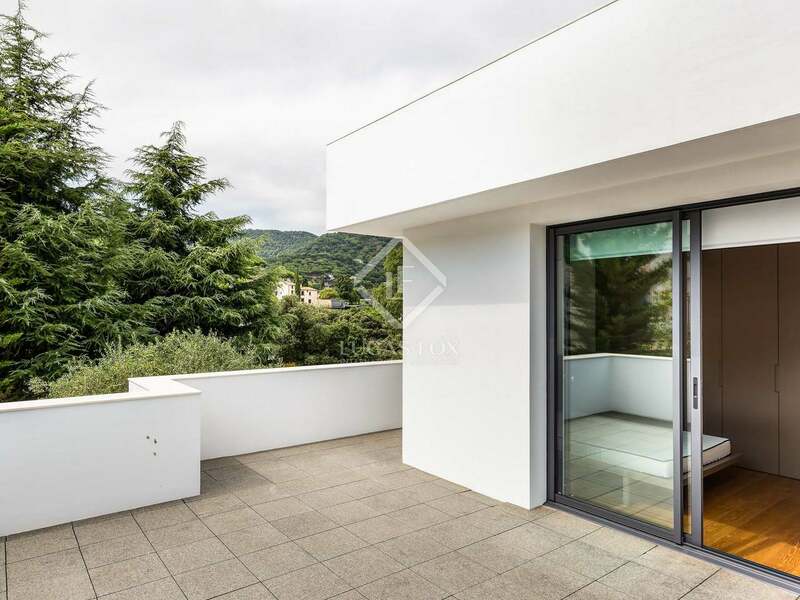 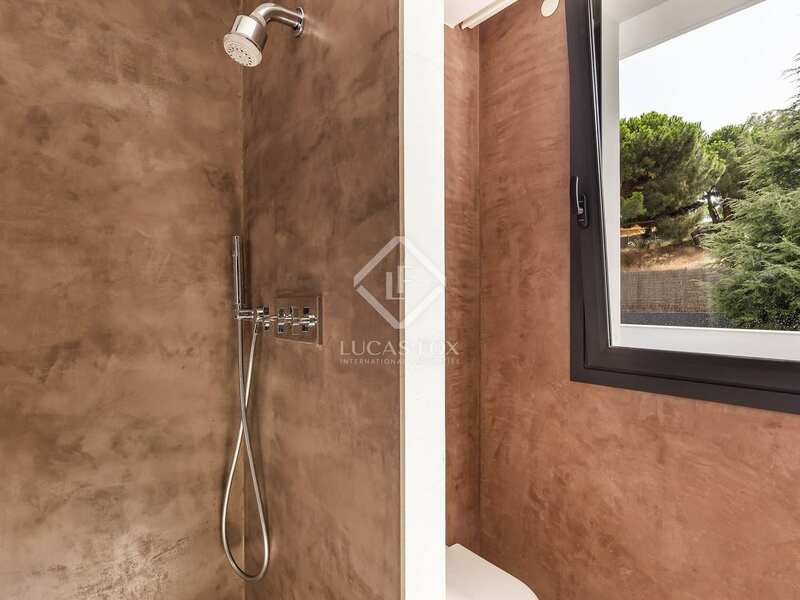 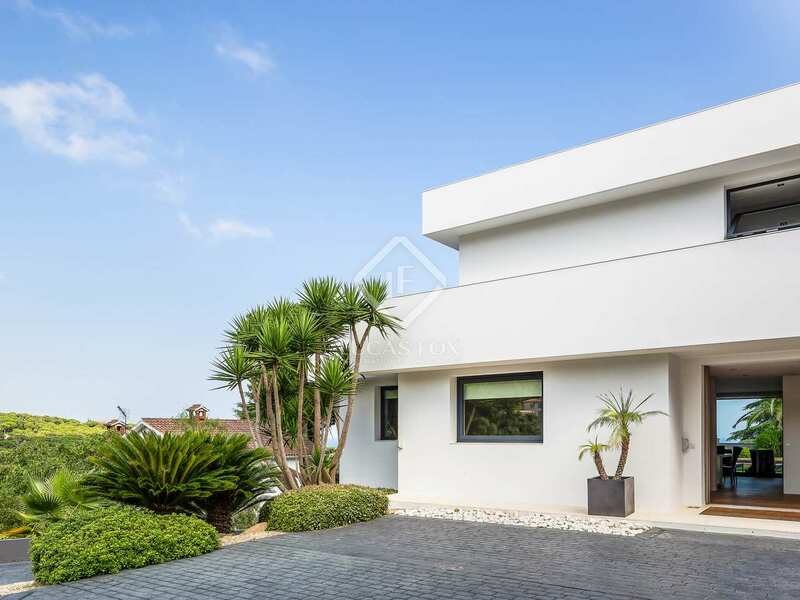 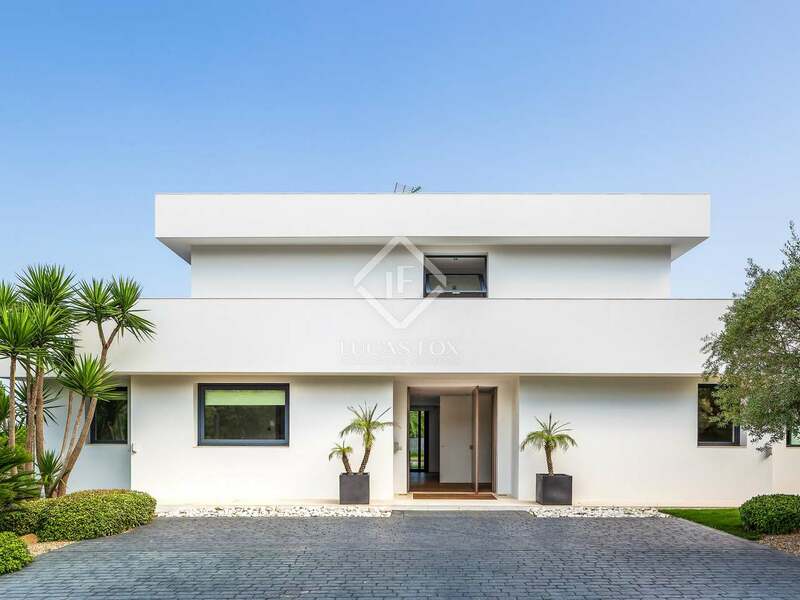 This beautiful modern, minimalist villa is located in Cabrera de Mar, in the Maresme, with very good sun exposure and sea views. 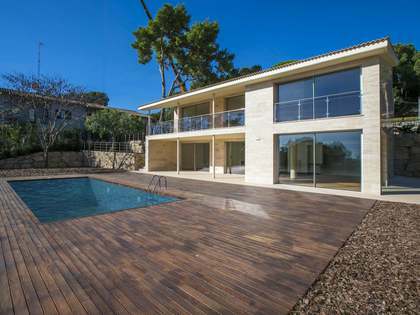 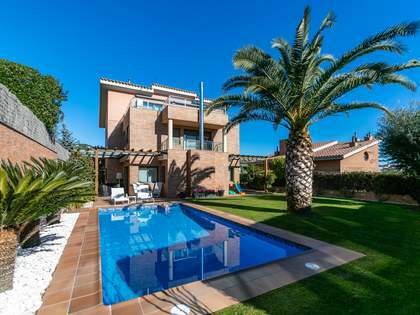 The design of this property, by the prestigious architect and interior designer Rifé, perfectly integrates the villa, the garden and the pool. 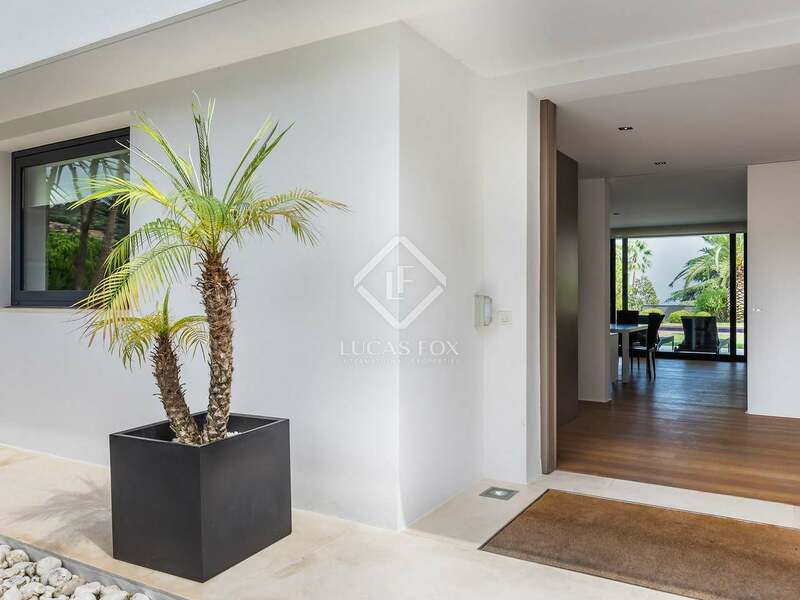 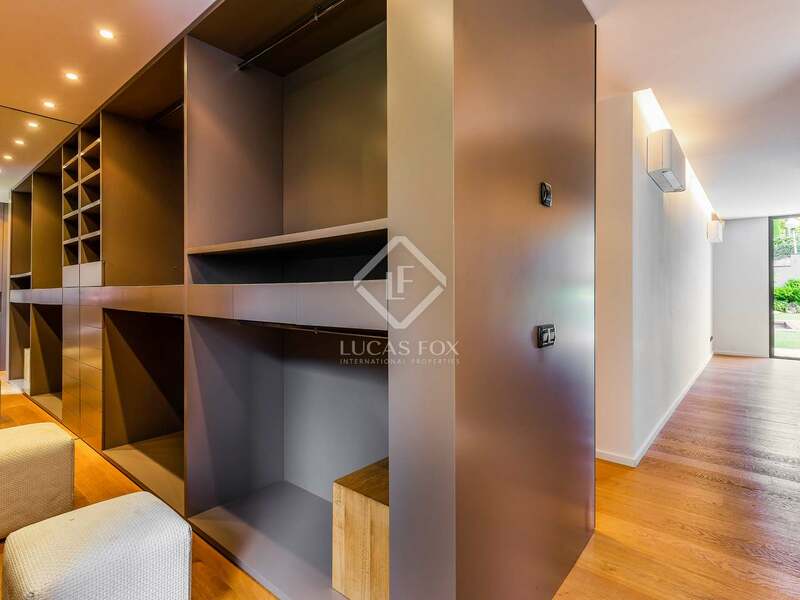 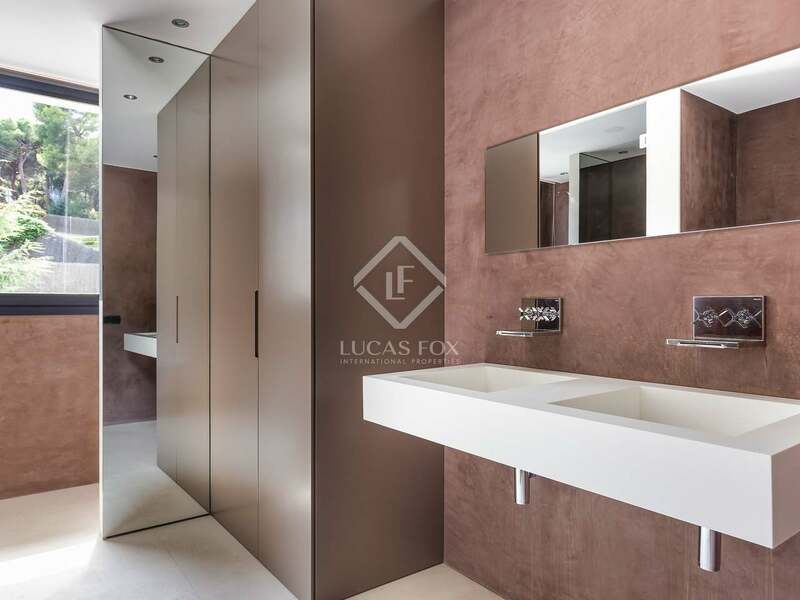 It is an elegant, contemporary style house, with the latest technology and excellent quality finishes. 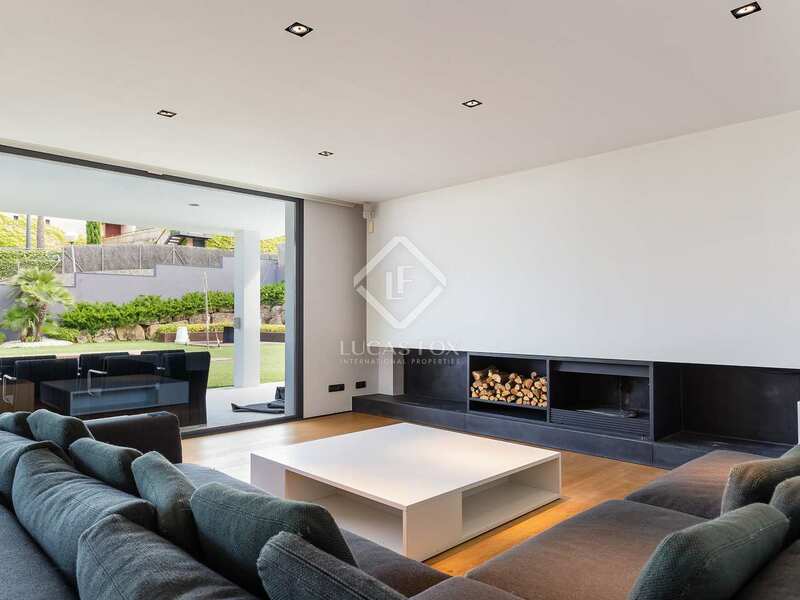 On the ground floor of the villa is the spacious living room with a fireplace and custom-made furniture, so it is very cosy. 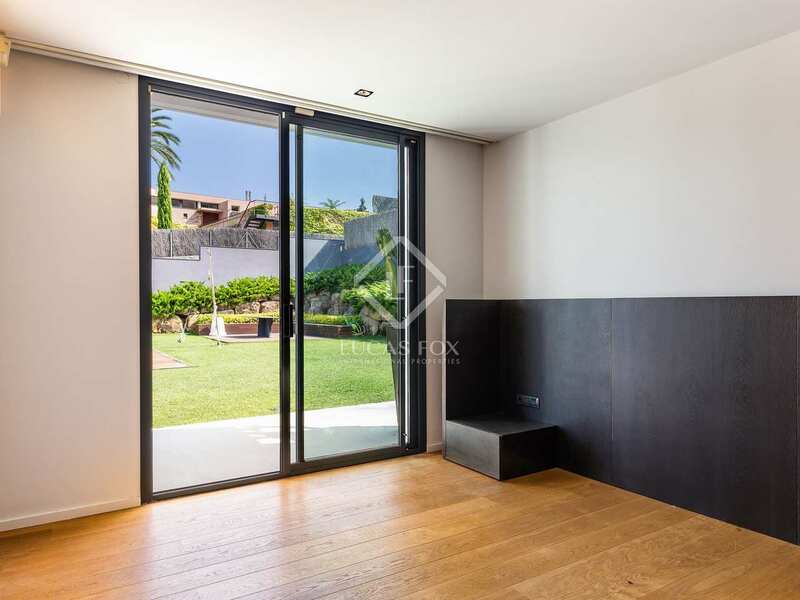 It is also very bright thanks to its large windows, which at the same time give access to the porch, the garden and the pool. 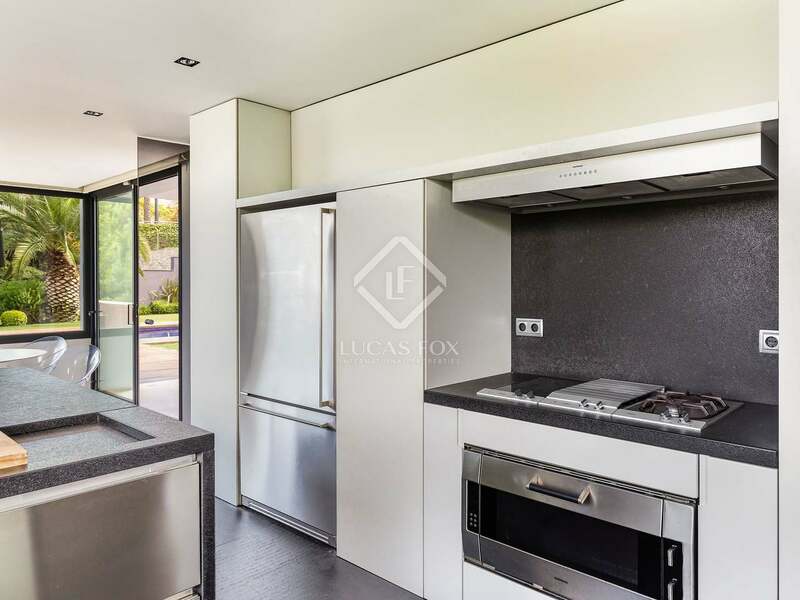 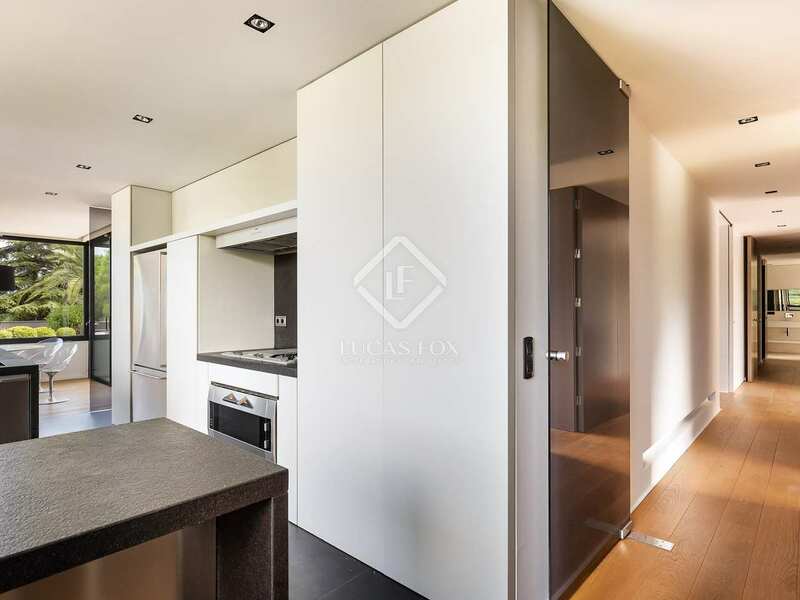 The kitchen is equipped with Gaggenau appliances and has a dining area, from which you access the garden. 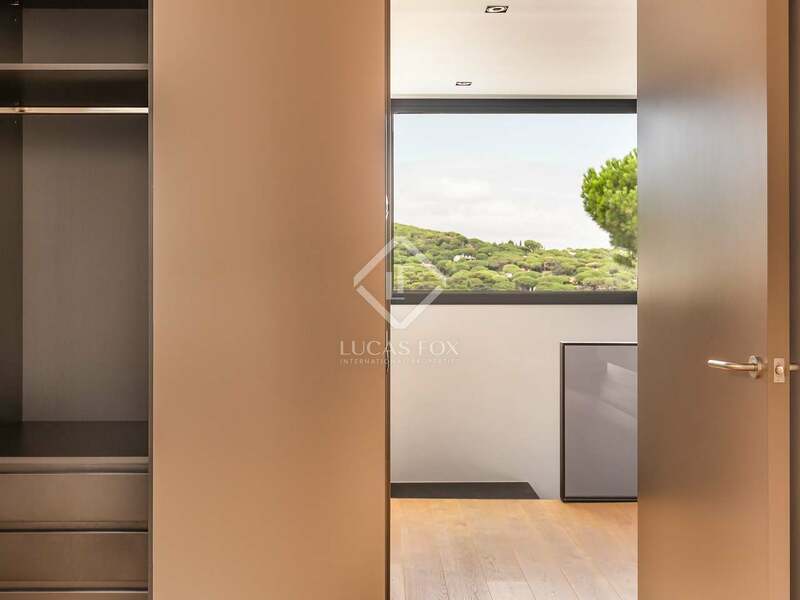 A landing leads to a spacious bedroom with fitted furniture, a large dressing room, access to the garden and a private bathroom with a whirlpool tub, separate shower and Philippe Starck furniture. 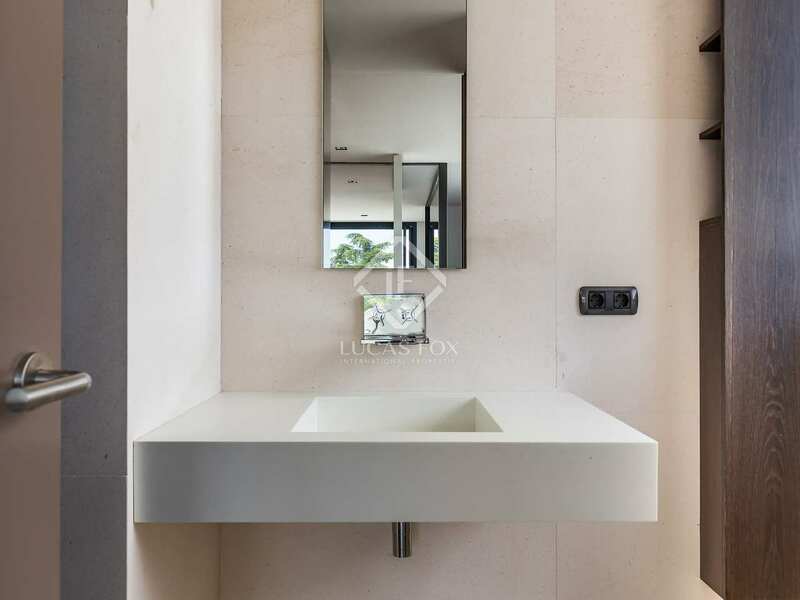 Great attention has been paid in every last detail, such as the cascade taps in all of the bathrooms. 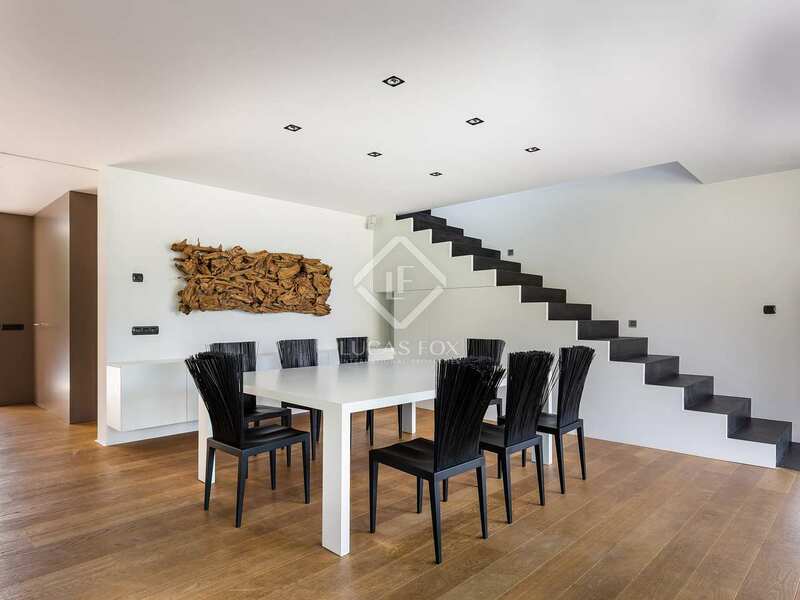 On this floor there is also a laundry room and a multipurpose room. 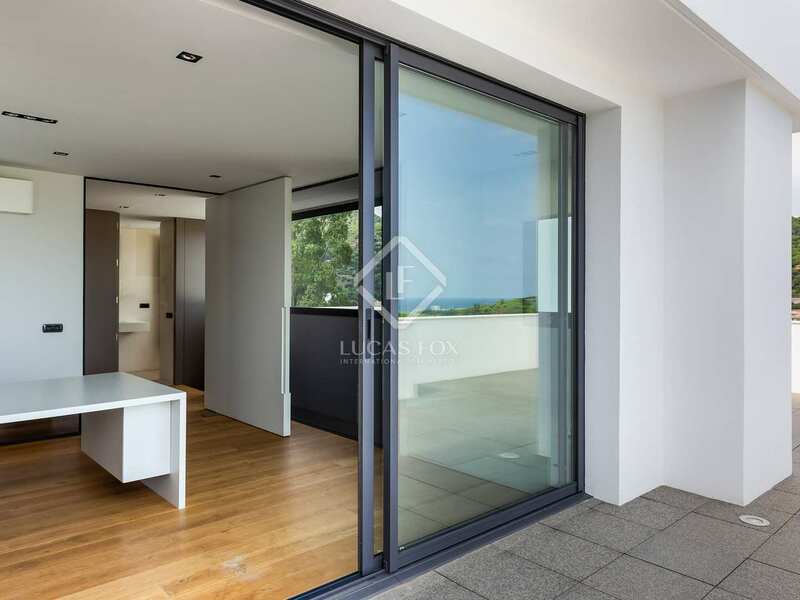 The upper floor has another 3 bedrooms and 2 bathrooms, plus a work area with access to a solarium with sea views. 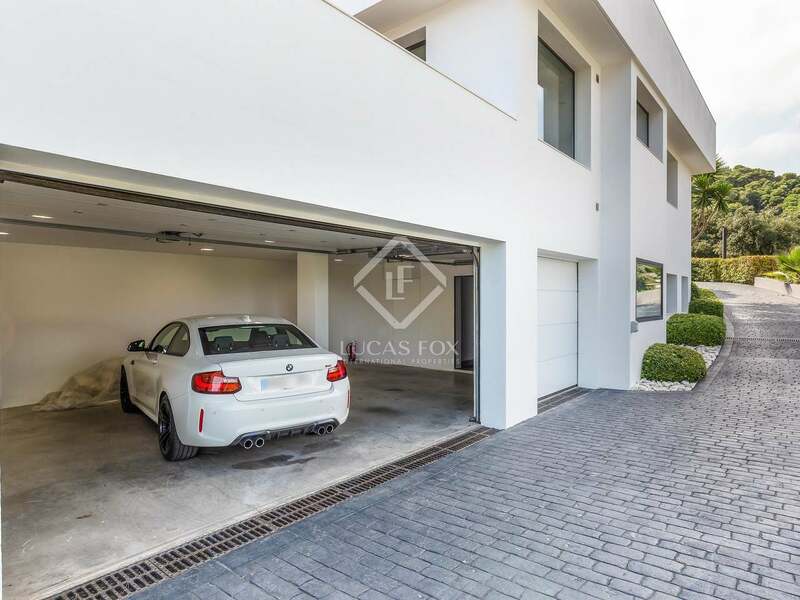 Finally, in the basement we find parking for 3 cars, a cellar and a bedroom with a private bathroom. 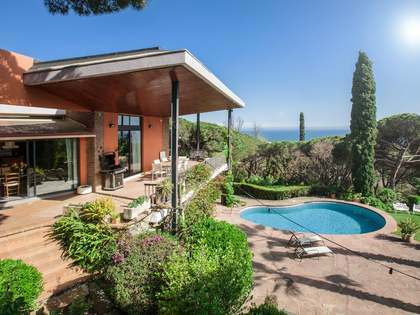 Do not hesitate to contact us to visit this villa that is in perfect harmony with its natural surroundings. 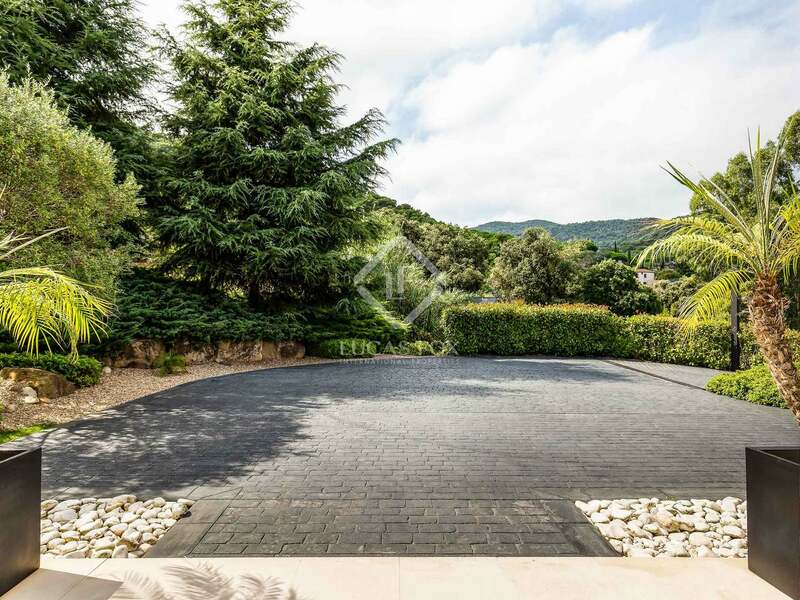 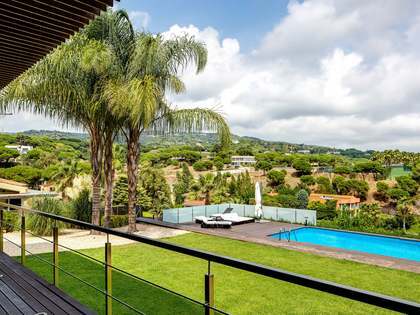 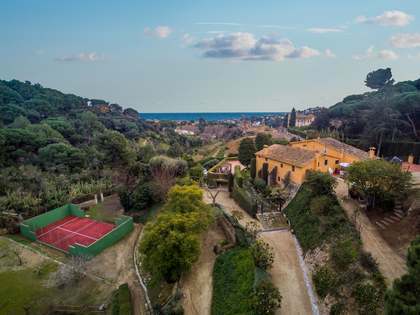 Villa located in Cabrera de Mar, in the Maresme, with sea views and good access to the motorway.